Dexter (MichaelC. Hall) and Hannah (Yvonne Strahovski) planned to flee to Argentina with Harrison. 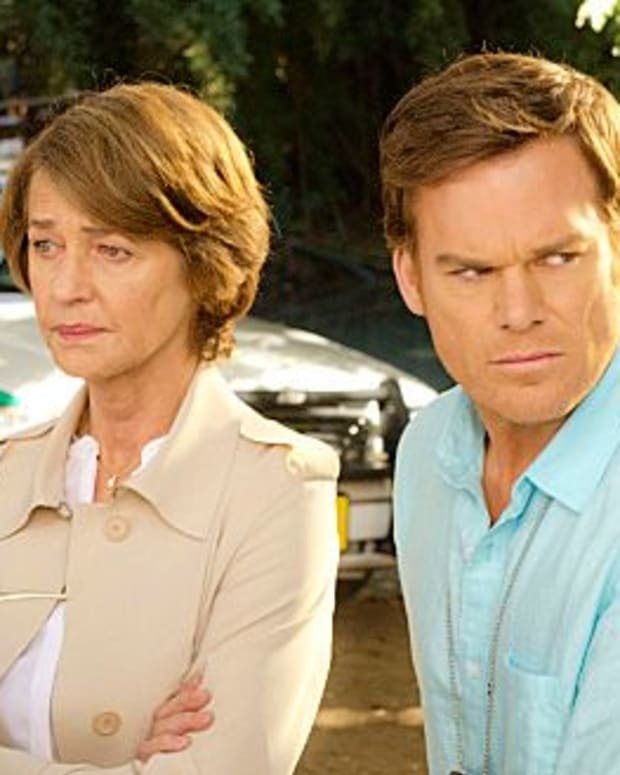 Dexter felt he had to kill Daniel/the Brain Surgeon beforehand, in order to protect Dr. Vogel (Charlotte Rampling), who he now considered to be his surrogate mother. However, Dr. Vogel wanted to keep her biological son breathing. She thought she could help him to not be a killer. Daniel, who’d murdered his younger brother because he was jealous, threatened Dexter. 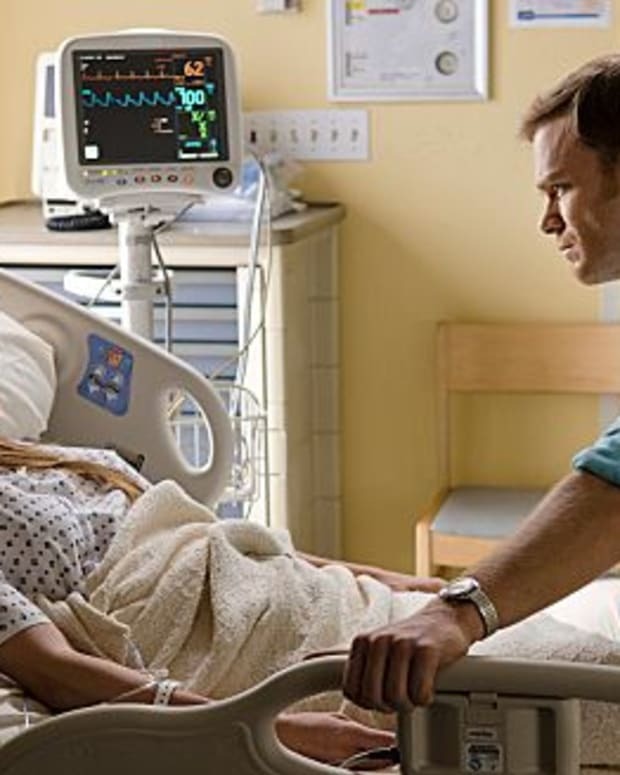 Dr. Vogel became more and more frazzled, and urged Dexter to just leave her son alone. She wanted him to flee as soon as possible. However, It wasn’t going to happen. During his pre-kill ritual, Dexter came across videos Daniel made of him killing his victims. After he showed Dr. Vogel the footage of (my poor baby!) Zach screaming as Daniel sawed open his brain, he convinced her Daniel could never be rehabilitated. Dr. Vogel agreed to help deliver Daniel to Dexter. Unfortunately, the whole thing was just too much for her, and she was really obvious about it. This culminated in Daniel slicing Dr. Vogel’s throat in front of a helpless Dexter, since she once again “chose the wrong son.” Daniel fled, and left Dexter distraught. Dexter cradled Dr. Vogel in his arms, and ended up covered in her blood, thus, contaminating the crime scene. 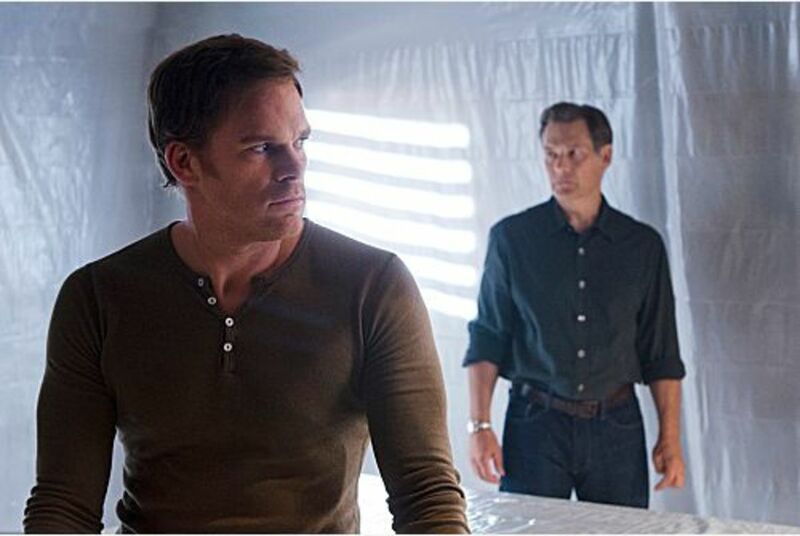 Like Zach, it appeared maybe Dexter would have to dispose of another one of the Brain Surgeon’s victims in order to protect his own secret identity. Dexter and Hannah planning their future was pretty lamesville. I mean, who wants to see anyone, let alone serial killers, checking out real estate online? Dexter was happy about the U.S. Marshall backing off the search for Hannah, since they were finally convinced she’d skipped town. However, once the U.S. Marshall heard Dexter had quit his job to travel out of the country, his suspicion was piqued. 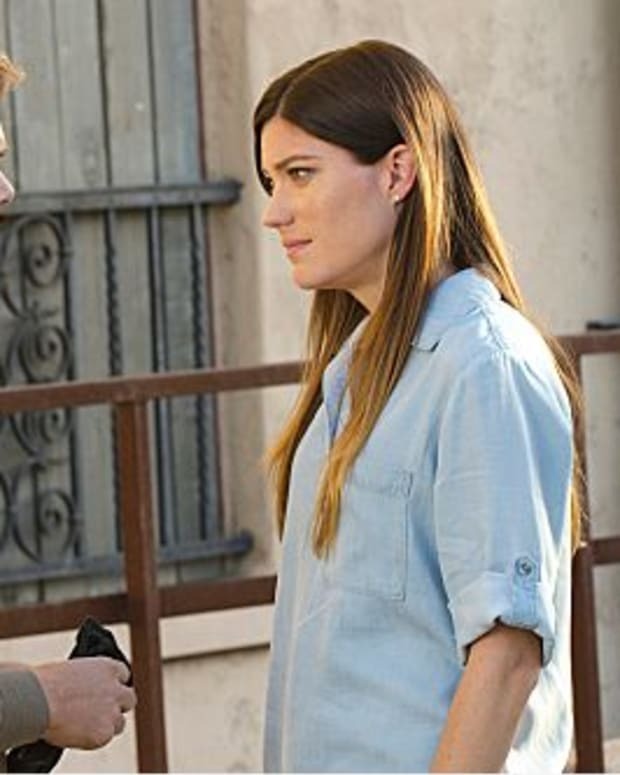 He questioned Debra (Jennifer Carpenter) about her brother planning to flee with Hannah, but she covered for them. After Hannah was left to babysit Harrison, he became injured from playing on a treadmill. Hannah brought him to the emergency room, and a nurse recognized her. She’d also signed in as “Debra” so now the Marshall knew Deb had been lying. So, because Harrison knows no discipline, and Hannah is one of those parents who rushes their kid to the ER for every scrape and bruise, there’s no way the happy little trio is making it out of Miami. I mean, seriously, she knew she had to lay low, and the cut wasn’t even that bad! Why didn’t Hannah just call Deb to take him if she wanted him checked out? It made no sense, but there it is. Elsewhere, Debra rejoined the police force, which really annoyed Ellway. In the biggest WTF? of the season, Deb and Quinn also declared their love for one another, and got together (after Quinn dumped Jamie of course). I guess when the brother you’re in love with decides to move away with his murderess girlfriend, and most of your other lovers are dead, you just go with your backup. This little subplot gave me Big Love déjà vu. If a minor character like Jamie ends up randomly killing Dexter or Debra in the final episode, I’m calling shenanigans.